(BPT) – With spring officially arriving, home improvement season is swinging into full gear. Fair warning to homeowners looking to hire a professional, 2018 is predicted to be a record-breaker. A recent study by the Joint Center for Housing Studies of Harvard University projects home improvement spending will approach $340 billion this year – the strongest gain for remodeling in more than a decade. Among the costliest of projects is roofing, a large expense with serious implications if put off or improperly done. Choose a local, reputable contractor. These contractors should have the best knowledge of local building codes, state codes and required certifications and licenses. Ask the contractor to see their certificate of insurance before stepping onto the roof. Consider going the extra mile and choosing a contractor certified by the manufacturer of the shingle the contractor installs. Improper installation is considered one of the major reasons roofs fail prematurely, so finding a contractor with knowledge and experience in the correct application of a particular product is of the utmost importance. Many times, contractors will push for a removal of all existing shingles, or a tear off, over adding another layer of shingles on top of an existing roof, a layover. Although a complete tear off is more expensive due to increased labor costs, there are some advantages. “When you tear off, you get a chance to look at the roof deck and repair any deteriorating wood or substrate,” said Rick Taylor, longtime roofing contractor and a trainer for shingle manufacturer TAMKO Building Products Inc. Typically, doing a layover is more economical, although homeowners need to discuss relevant factors with their contractor, including local building code requirements and implications for the manufacturer’s warranty. It is important to understand the warranty specific to the roof product you have installed. Educate yourself on requirements for installation, including whether a shingle layover is applicable, as mentioned above. Other warranty concerns to consider include proper installation, the required steps to register your roof after installation and the time period allowed for transferring that warranty to future owners of the home. Inadequate roof ventilation is another major culprit behind premature roof aging. There are a variety of options for roof ventilation; however, it is generally recommended to incorporate proper ventilation into the original re-roof, rather than add it later. The recommended ventilation depends on the size and architecture of the home, but when done correctly, the air inside the attic should be near the same temperature as the ambient temperature of the air outside it. It may seem obvious, but a simple check of the weather before starting a roofing project could prevent a big headache later. Avoid starting a project with wet plywood or underlayment, or when the forecast indicates a strong chance of rain. 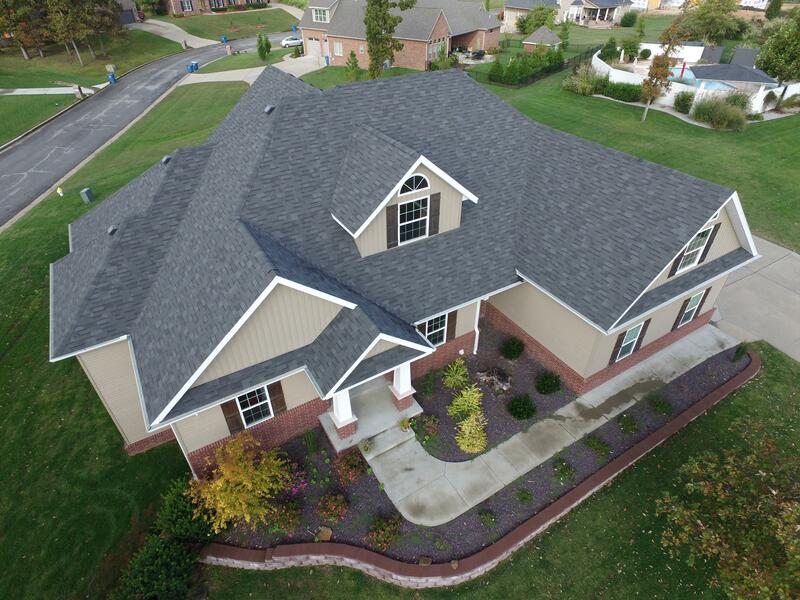 Also, many manufacturers of asphalt shingles, the most popular form of roofing in the U.S., do not recommend installation in below-freezing temperatures or in excessively high temperatures. Careful consideration of these steps during your next home exterior project could save you from costly and lengthy rework years later. This entry was posted in Real Estate on March 10, 2018 by Mike.